So, I thought I'd take a minute and write down my House Goals for 2018. I used capital letters there so you know it's a pretty big deal. I'm usually determined as all get-out--when I set a goal, I stop at no costs to make sure I meet it. House projects aren't really that way for me though. I get so distracted so easily--and my goals seem to change every 3 minutes. But, not this year. 2018--I'm coming for you! Part of the problem is that I've always seem to be a bit split in my design choices. 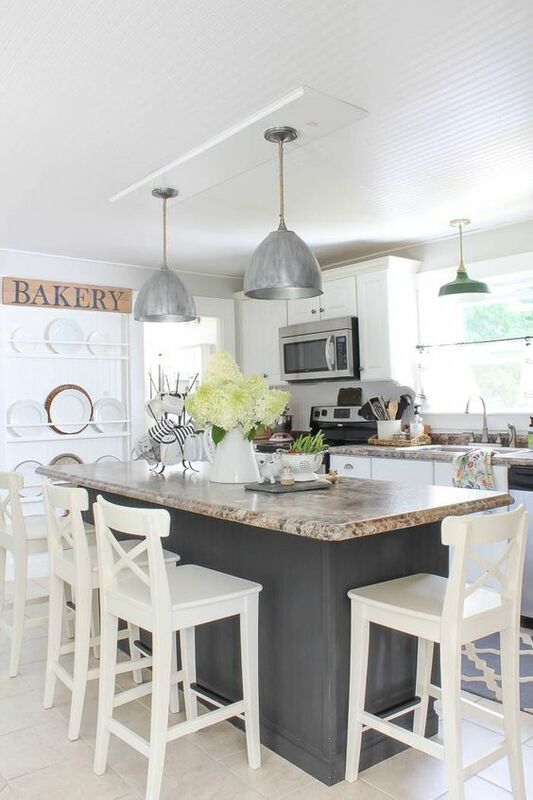 I love glitz and glam and all things modern farmhouse--two styles that don't really mesh well together. And committing to expensive design choices can be tough enough as-is, much less when you're split between two design styles that seem so opposite of each other. Ok, so on to the goals already! Here are my top five house goals--what I'm realistically hoping to accomplish--in 2018. Our downstairs powder bath gets a lot of action, y'all. And it is truly horrific. It's covered in the ugliest wall paper I've ever seen, with a dark and drab framed mirror and vanity. Don't believe me? Take a look for yourself! See Goal #1, above. 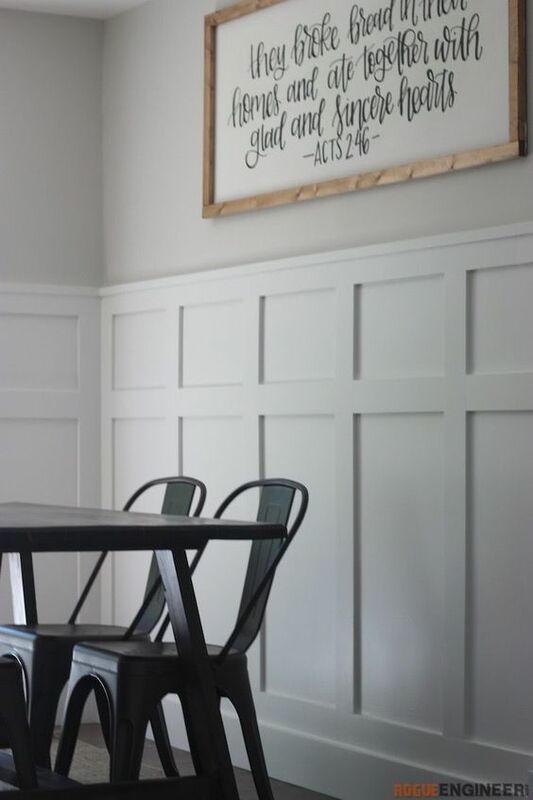 But, if for some reason, we fail miserably in goal #1, I want to add shiplap somewhere--anywhere in this house! Obviously, the downstairs bath is my first choice. And choice #2 is the master bedroom. 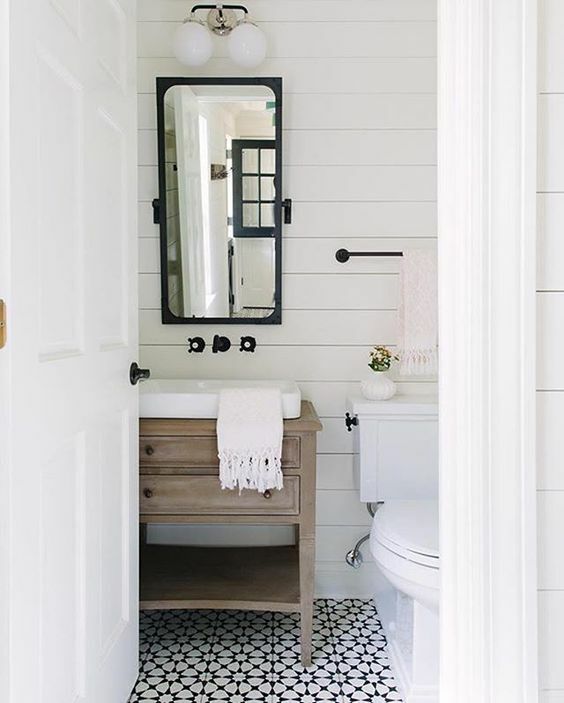 I know I don't need to tell you guys how dreamy shiplap is!! I have seen the MOST adorable cutting board storage solutions all over Instagram and Pinterest. And, when I was brainstorming ways I could add some farmhouse charm to this builder grade in 2018, this was definitely one of the projects I wanted to complete. I have an empty cabinet wall spanning from floor to ceiling in the kitchen and I think a rack to corral all my cutting boards would be perfect for this space! My living room could definitely use some character and there is lots I'd like to do to finalize the space. It might seem silly to "re-do" the walls in the living room, since we painted the whole living room right after we moved in. Covering up 2/3 of that in board and batten makes painting the whole living room feel wasted. But, the space feels empty and lacking, and I know board and batten will give it just the facelift it needs. Plus, we spend 99.9% of our time in this room, which opens up to the kitchen. So why not get it looking good? And there it is, friends. One year, five (hopefully attainable) goals. Have you ever attempted any of these projects? What have you done? And what are you planning for 2018? I'd love to hear in the comments below!